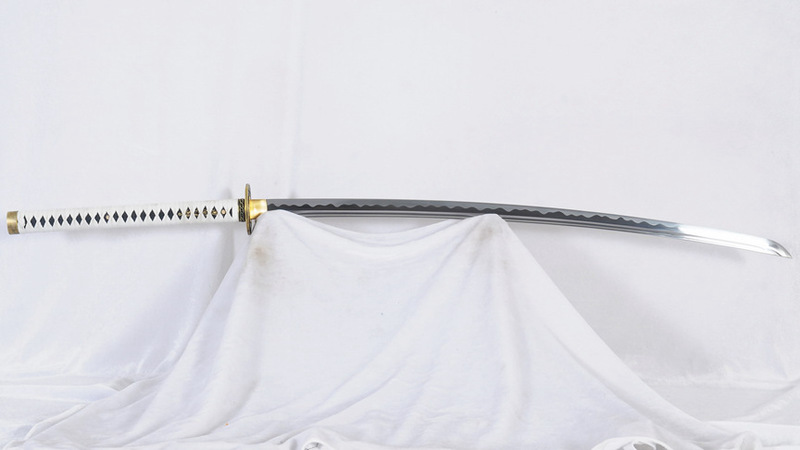 Ryan1284 is a long-version replica of the sword Yamato from the video game series Devil May Cry. 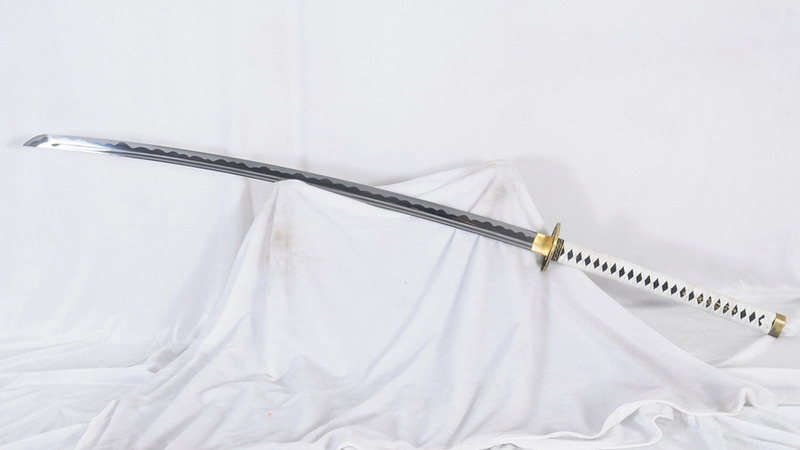 Based on the plot from the game, Yamato was bestowed to the character Vergil by his father, the legendary dark knight Sparda. 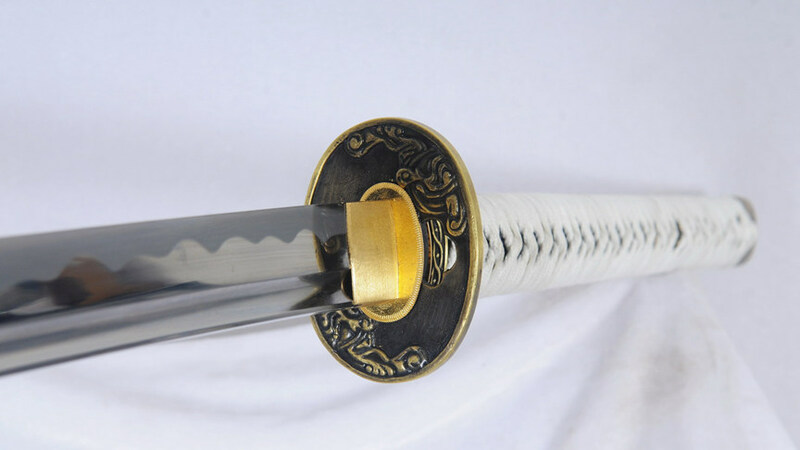 Yamato has innate demonic powers which compliments with its wielder's power. 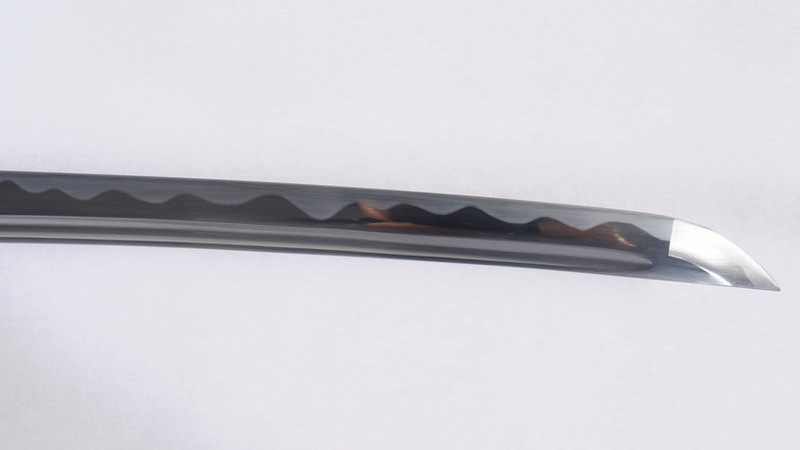 Ryan1284 is a katana with a shinogi zukuri blade made of through-hardened 1095 high carbon steel with abrasived hamon. 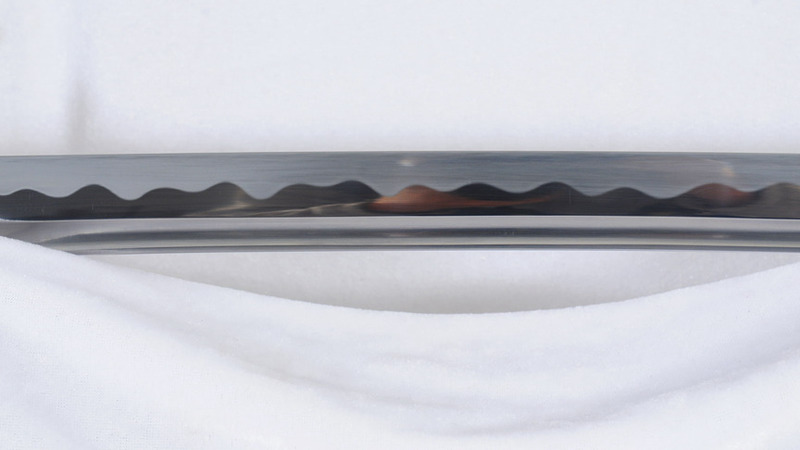 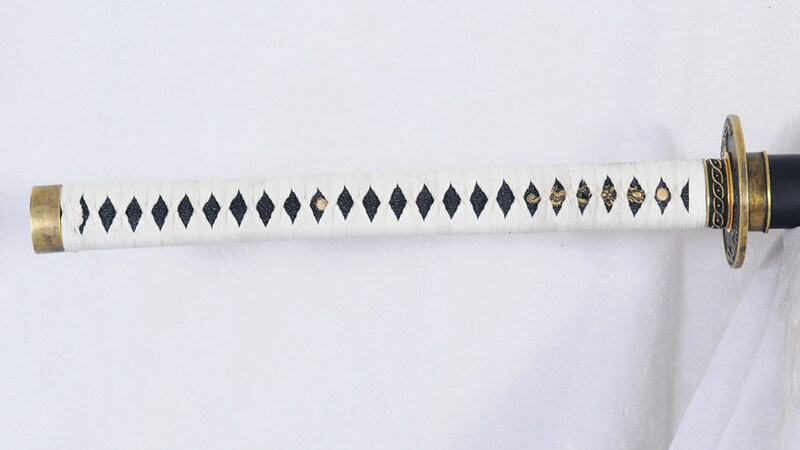 It has blood groove or bohi on each side of the blade. 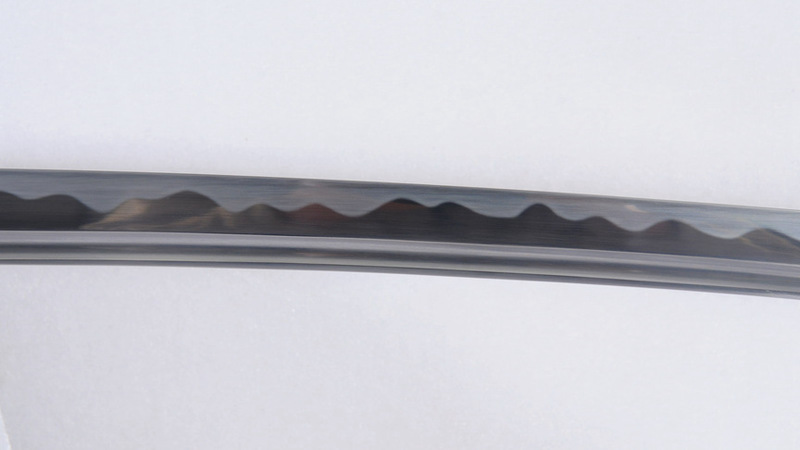 The blade can be used on hard targets. 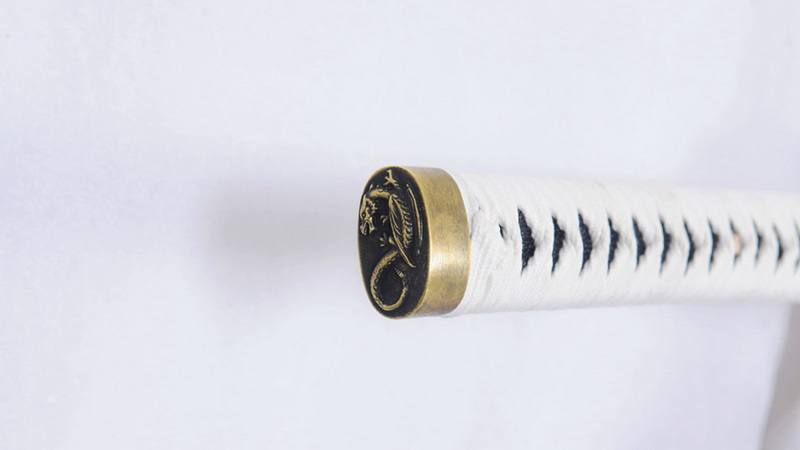 The tsuka has a hardwood core with black, genuine rayskin panels and wrapped with white, synthetic silk ito. 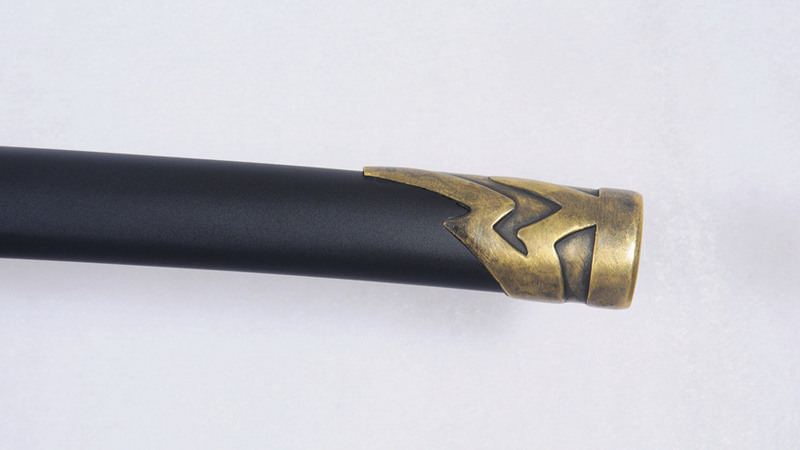 The fittings are made of brass. 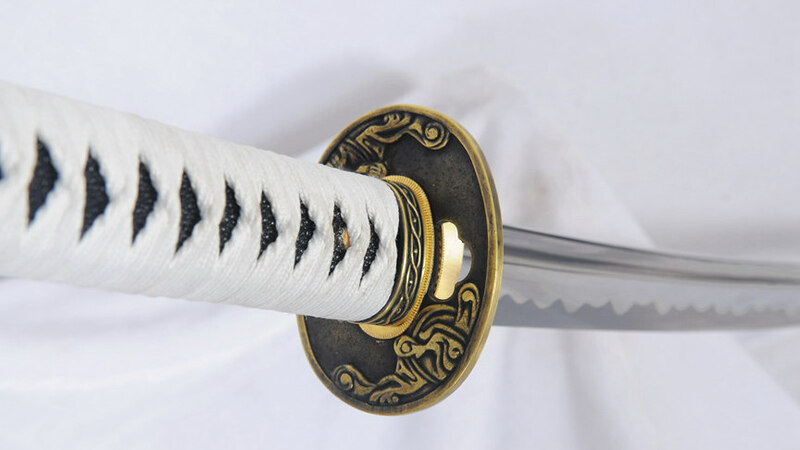 The koiguchi and kojiri are also made of brass. 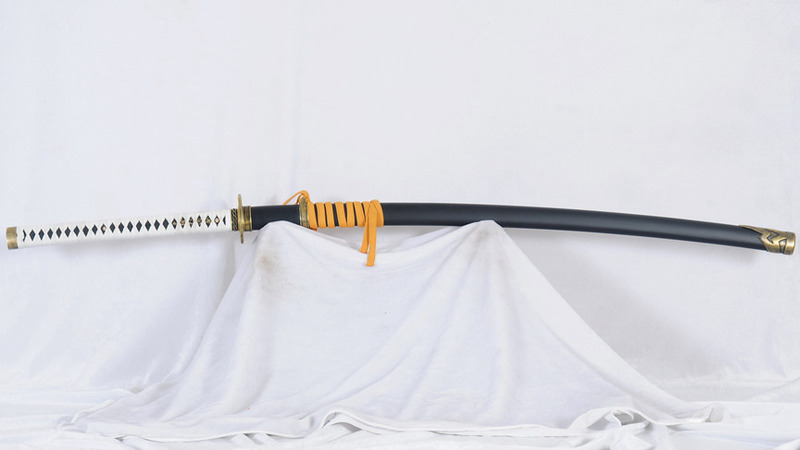 The saya is made of hardwood with a matte black finish and yellow synthetic silk sageo. 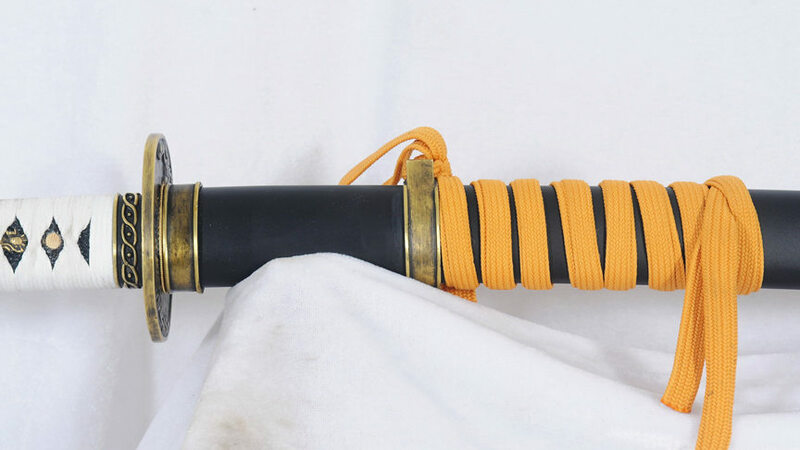 It does not have a kurikata but has one ashi or hanger to secure the sword to the waist. 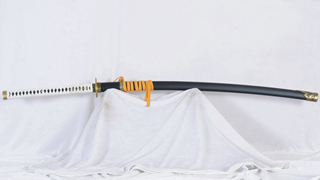 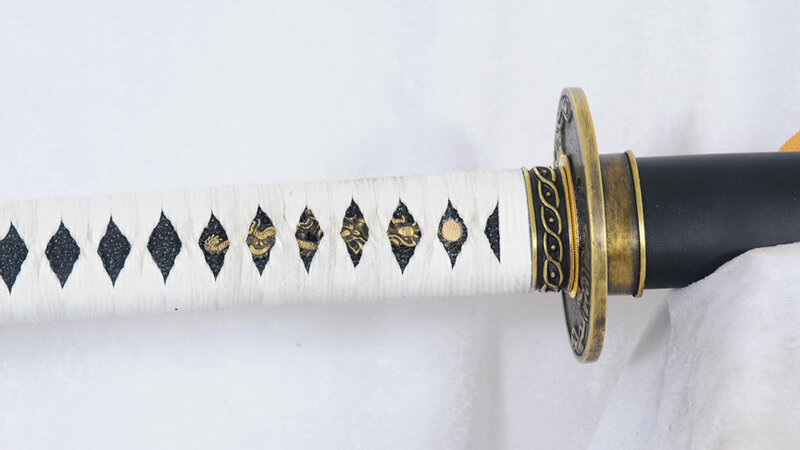 Overall Length : 128cm / 50.4" Nagasa(Blade) : 87cm / 34.3"